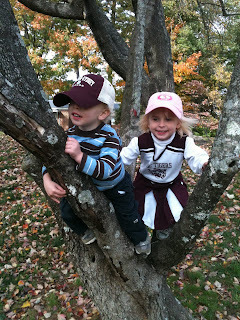 On Saturday the kiddos went with Daddy to the Hampden-Sydney football game. 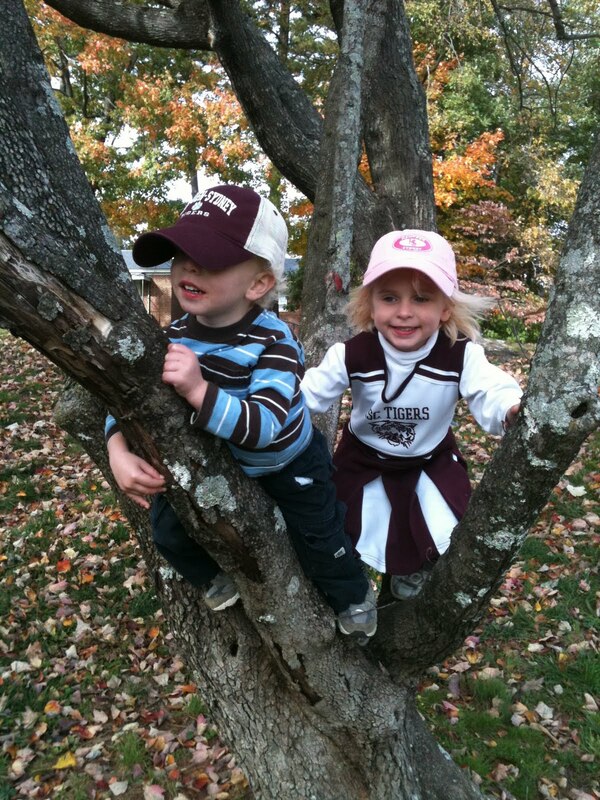 But, before they could go, Caroline had to put on her new cheerleader outfit. She was so excited!!! It was a chilly day so we insisted that she wear a shirt and pants under the outfit. She complied, but was not happy about it. 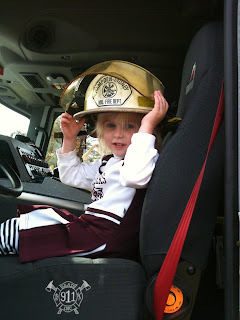 She also had a pink H-SC hat. Tucker got a new H-SC t-shirt and hat. The t-shirt got dirty seconds after putting it on so Tuck proudly wore his new hat. 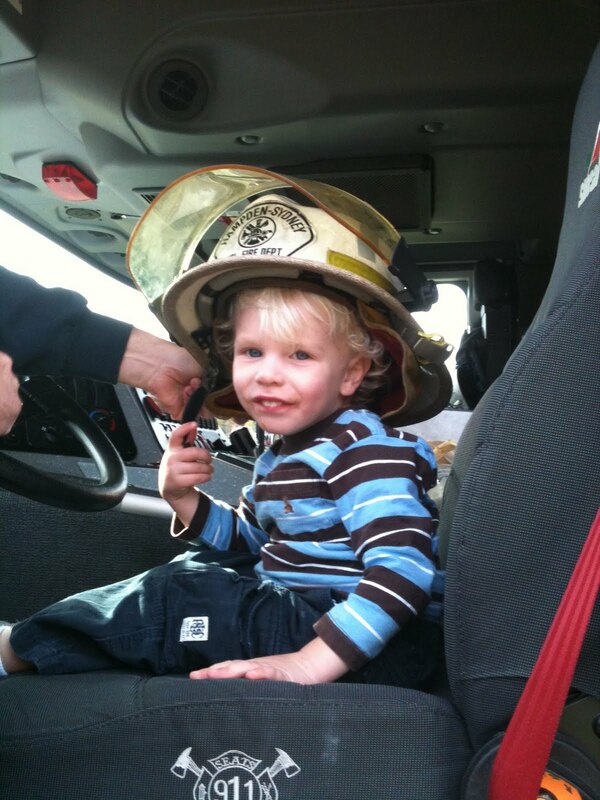 When the kids got tired of the football game, they made a trip to see the fire truck. Lucky for them, they were allowed to sit in the truck and also try on the helmet! Now that's a good day!